Join us every Friday and Saturday night for the best live music performances in the area. We are an intimate and friendly live music cafe with a full menu, including beer and wine, available during all performances. Seating fills quickly, so give us a call — 914.737.1701 — to reserve your table. Seating starts at 7:30 pm. Showtime is at 8:00 pm. Reservations are held until 8:00 pm. 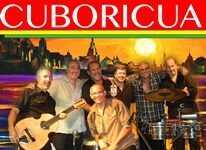 10:30 pm Salsa Night with Cuboricua ! 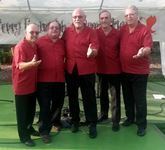 Inspired by the music of Cuba and Puerto Rico, Conjunto Sazon rocks the rhythms of the Caribbean; Salsa, Son, Rumba, Bomba, Plena, as well as Merengue. These veteran musicians, to their credit, have performed and recorded with world renowned artists such as Celia Cruz, Pete "El Conde" Rodriquez, Eddie Palmieri, Monguito "el unico", Los Kimbos, and the New Swing Sextet to name a few. Great food, fine wine, the best in live music. For reservations, call 914-737-1701. Reservations held until 8 p.m.
Dr. Capers has performed with Dizzy Gillespie, Wynton Marsalis, Mongo Santamaria, Tito Puente, Slide Hampton, Max Roach, and Paquito D'Rivera, among others; has recorded 5 albums: Portrait of Soul (Atlantic), Affirmation (KMA Arts), Come On Home (Columbia/Sony), Wagner Takes the 'A' Train (Elysium), and Limited Edition (VALCAP Records); and has appeared on numerous radio and television programs. 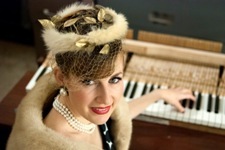 She plays regularly at the Knickerbocker in Greenwich Village and Lenox Lounge in Harlem. Her most noted compositions are Sing About Love, a critically acclaimed Christmas cantata produced by George Wein at Carnegie Hall; Sojourner, an operatorio based on the life of Sojourner Truth, performed by the Opera Ebony Company of NY; and Song of the Seasons, commissioned by the Smithsonian. Admission $15 For reservations, call 914-737-1701 Reservations held to 8 p.m.
Come early: Great Food, Fine Wine & Beer. Marcy B. Freedman is an artist and an art historian with a profoundly silly interest in studying works of art that make people laugh. She is also prone to including elements of humor in her own collages, videos and performance art works. For this event, Freedman will present an overview of the history of humor in western art, showing examples of ancient Roman frescoes, medieval manuscript illustrations, and Renaissance paintings, along with hilarious works of art from the 20th and 21st centuries. She will also perform one of her own performance pieces, challenging viewers to keep a straight face during the performance. In an effort to avoid hogging the stage, Freedman has invited two local artists to assist her in making sure that everyone keeps on laughing. Carla Rae Johnson and Gene Panczenko will share their own comedic talents with the lucky audience. For further presentation information, please contact Marcy: 914-271-5891 or mbf@bestweb. Free and Open to the Art Loving Public. "Ray Blue has a majestic presence...when playing, his sense of purpose is obvious. It's one thing to be a good composer it's another to be a great performer. Ray Blue's got the whole package." -Jean Szlamowicz, Jazz Hot, Down Beat. Award winning, New York bred saxophonist, Ray Blue, brings his quartet to stage to create a deep, rich fusion of straight ahead jazz and African groove. Ray has performed and recorded with Bernard Purdie, Patience Higgins, Steve Turre, The Sun Ra Arkestra, Cotton Club All Stars, Harlem Blues and Jazz Band and many others. He has toured as a cast member of the "Ray Charles Show"; performed at international jazz festivals including the Zanzibar International Film Festival; North Sea Jazz Festival-Cape Town, South Africa; Audi Jazz Festival-Brussels, Belgium; and the Foix Jazz Festival, France among others; and was inducted into the Blues Hall of Fame, 2013. 10:30 pm Clifton Anderson Quartet, Check out his blogspot on the movie he's in! 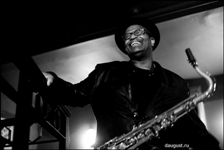 Since leaving Sonny Rollins band in 2009 Clifton has focused on creating a unique place for himself in the world of Jazz. His perseverance in the development of his playing, compositional writing and musical concepts have paid off. His identifiable sound and memorable compositions have drawn an ever expanding audience to his recordings and performances. 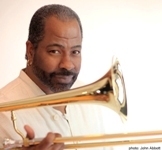 In addition to his work with Rollins, Clifton has worked with an "A list" of musical luminaries including Dizzy Gillespie, McCoy Tyner, Stevie Wonder, Paul Simon, Dee Dee Bridgewater, Keith Richards and Slide Hampton among others. Clifton's performances showcase a variety of swinging originals; high energy straight-ahead, calypsos, funk and American standards. Check out his latest CD, And So We Carry On, and be uplifted. Steve is an award winning Americana artist with strong roots in the singer songwriter tradition, country and rock. His influences include The Beatles, Townes Van Zandt, Pete Seeger, and Steve Earle, among others. He's a regular on the Hudson Valley scene with a steadily growing fan base nationwide. In 2011, Steve won the Hudson Valley SongFest Emerging Artist Competition, Wildflower! 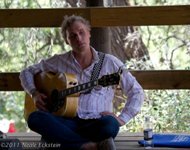 Music and Art Festival songwriting competition, Woody Guthrie Songwriting Contest (Third Place) and was a Kerrville New Folk finalist. In 2010, Steve was the grand prize winner of the Music 2Life songwriting competition for "The Wall Street Fat Cat Tax Payer Bail Out Blues". Steve's first C.D. "It Is What It Is" reached number 12 on the folk D.J. Charts in 2007. He's currently working on his latest C.D. with producer Peter Calo set for a January national release. Steve plays Gibson and Gretsch guitars. 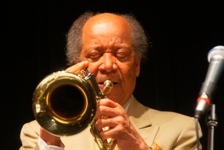 Fred Smith, former musical director for the Harlem Blues & Jazz Band, is the trumpeter of choice for swing bands including Panama Francis Orchestra, George Kelly's Jazz Sultans, and Al Cobb's Big Band. Fred has also played with Dr. Lonnie Smith, Bross Townsend, Lou Donaldson, Houston Person & Etta Jones, Alvin Queen Quintet, Honi Coles & the Copacetics, Hugh Masekela, Larry Willis, Bernard Purdie, Lloyd Price Orchestra, and played in bands backing singers Ruth Brown, Carrie Smith, Della Griffen, Annette St. John, as well as performing in many night clubs during Harlem, Brooklyn, Queens and Greenwich Village Hey Day! Admission $10 For reservations, call 914-737-1701. Reservations held to 8:00. Come early! Great Food, Fine Wine & Beer. 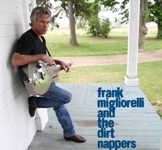 Frank Migliorelli & The Dirt Nappers are back for a night of roots-rock originals and celebrating the release of their new album. Frank and the band will be featuring songs from that soon-to-be-named album all night long. As a special "sneak peak" treat, the first 25 guests will receive a copy of a limited single release of "And It Feels Like Chains" from the new album. The Dirt Nappers will be there in full force-Tony Tino (bass), Duncan Cleary (guitar), Eric Puente (drums) and Roisin Carlin (vocals). Roisin was a finalist on the Irish version of the television music competition "The Voice" and blew the house down last time she was with us , so we just had to have her back! As recent finalists in the 13th Great American Song contest -judges noted that "The songs are a sturdy hunk of vintage coolness...spirited rock & roll musical style! "- so dont miss these guys! New York's own Kim Clarke performs on the Acoustic Bass, Electric Upright and four and five-stringed Electric Bass Guitar. In her 22-year tour affiliation with trombonist Joseph Bowie and his avant-jazz funk unit Defunkt, Kim wowed audiences from Iceland to Istanbul. Internationally she is noted as "at home in the Ron Carter School of HardBop" and "a dynamic Woman in Jazz." In 1988, Rob Scheps formed Core-tet and Bartokking Heads, and established himself as a formidable force on the jazz scene. A member of the Mannes College of Music Faculty, Rob also has been a workshop clinician at Bowdoin, Dartmouth, and Hunter among others. Kim and Rob will be joined by Bryan Carott on vibraphone and special guest on drums. $10 admission. For reservations 914-737-170 Reservations held to start of show. PAT TOMASSO is a singer/songwriter with a deep, smoky voice whose jazz, country, blues, gospel and Latin songs are personal stories that speak to her generation. Pat is accompanied by a tight troupe of veteran musicians. BILL CONWAY, bassist, arranger, composer & teacher, has performed with jazz greats Sylvia Syms, Margaret Whiting, Benny Carter, Carmen Leggio, Cecil Taylor & "Doc" Cheatham. CLIFF HACKFORD, drummer, tabla player & teacher, has played with Clark Terry, Sam the Sham, Vicki Sue Robinson and a wide variety of Grammy winning artists. Cliff co-produced both of Pat's CDs at his studio, Park Hill Recording. JIM WACKER, keyboardist, composer & musical director, has toured with Chubby Checker, Bo Diddley, the Coasters, the Drifters, Jon Bon Jovi and Bruce Springsteen. Come hear music from Pats new CD, RE-INVENT THE WHEEL, due out in early 2015. 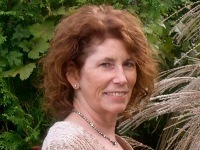 To sample Pat's first CD, HOW YOU LIVE YOUR LIFE, go to www.simpaticomusic.net. Cole is the recipient of a Swing Journal Gold Disk award, and was a winner of the NY Jazzmobile and Montreux Jazz Festival vocal competitions. She records for Motéma Music, NY, Chesky Records, NY and Venus Records Japan. Her recordings have received high praise in the jazz press and are spun on radio world-wide. In addition to her many performances at top jazz venues like Dizzy's Club at Jazz at Lincoln Center, Birdland, The Jazz Standard, Blues Alley, and Billboard Live, she's also performed at Avery Fisher Hall and the Kennedy Center and had been a featured soloist with the Boston Pops and NY Philharmonic. Alexis also serves the country as an active duty Staff Sgt. and vocalist for the West Point Band's Jazz Knights. Combine Barry White, Teddy Pendergrass and James Brown, and you get LA's signature style - "old school romance" and fiery funk! His unique registry, being a bass/baritone singer, brings passion and fire to the romantic songs that are an important part of his musical experience. The fervor and spiritual connections felt by his audiences is matched only by his ability to become "one" with his soulful, heart pounding funk. A celebratory aura is seen in his outlook on life and is evident in his performances. 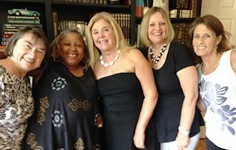 LA has performed with the legendary Intruders as well as on many "Motown Review" assignments. He is currently the bass/ baritone singer and co-founder of "Tradition", a wonderful "classic soul" cover singing group. LA has been a radio personality on his own "Quite Storm" show on 91.1 WOSS in New York and has been seen in commercials, and on documentaries for public and commercial television. 7:00 pm Sweet Seasons Celebrates Women! Sweet Seasons' name represents the time of life the ladies are experiencing, and also stands for the wonderful music they perform. The group is comprised of five busy women who met in a dance class called Dance and Funk that was choreographed and taught by Syd, one of the singers. They have all been touched by music their whole lives, and being in this organization is giving them the opportunity to perform and share their musical talents. They will have you singing and clapping to their song choices, a variety of pop, Broadway, rock and roll, standards and more, just like the mix of backgrounds of the members of the group. The singers are Syd Berman , Mary Guss, (also guitar), Michelle Wiggs, Danuta Fein, (also percussion), and Tatiana Ferraro. Their musical director, Stephanie Purcell, is proud to have you hear them in concert. Admission $10. For reservations, call 914-737-1701. Premik,internationally acclaimed composer, arranger, producer and accomplished multi-instrumentalist, has worked with music greats Carlos Santana, Whitney Houston, Herbie Hancock, and Jackson Brown, played Sting's 2008 Rainforest Concert at Carnegie Hall, and toured extensively with Russian legend Boris Grebenshikov. Last year he also performed at NYC's Jazz at Lincoln Center. Save your seat, make a reservation by calling 914-737-1701. Take a trip back to the beginning of Rock & Roll with the Five Creations as they perform the Classic Songs of the 1950's & 1960's in the Street Corner Style without music. This will be the group's 4th appearance at the Beanrunner Cafe. Dont miss it!!! Come early. Great food, fine wine, the best in music. For reservations, call 914-737-1701. Reservations held until 5 p.m. Playing classic rock, Unfunded Mandate is music with a cause. Unfunded Mandate is a band of Lakeland School District staff who have been playing together for four years. All of the proceeds from Unfunded Mandate go to helping kids. "It's the love of music and giving back to our community that makes this so much fun." says Dr. Stone, both the drummer in the band and the Lakeland Superintendent. The band includes Lakeland Superintendent Dr. George Stone on drums, Assistant Principal at Walter Panas High School Chris Cummings on lead guitar, Troy Payson, Head Custodian at Walter Panas on bass and Pat Riley, a music teacher at George Washington Elementary on keyboards. Rob Bergmann, the Principal of Lakeland Copper Beech Middle School is the male lead singer, with Liz Pezzulo a preschool teacher at Walter Panas and Theresa Wilkowski, the district Director of English Language Arts handling the female vocals. The band is sponsored by the Lakeland Education Foundation. Sundad is a World Fusion, New Age and acoustic Jam-Band, including father and son guitarists, John Eurell Sr. and John Eurell Jr. and other great musicians, whose original repertoire consists mainly of finger-style acoustic guitar instrumentals. 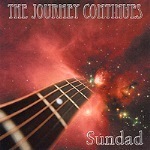 Sundad's 1st CD, Journey To Eternity, received a first round Grammy Nomination for 2005 Best Contemporary World Album. Their 2nd CD, The Journey Continues, was released in June of 2008 and immediately hit the World / New Age radio spin charts at Number 3. The CD also received a 2008 1st Round Grammy Nomination for Best POP Instrumental Album. Sundad's music has aired on the nationally syndicated "Echoes" radio show with host John Diliberto and the first track on the CD, "Open Sesame", was featured on NPR's "All Songs Considered: Open Mic" and was voted All-Time Best Guitars in the World Fusion category by . GarageBand.com. $10 Cover. For reservations call 914-737-1701. "Richie Goods is a master musician whose tenure with many of music's greatest names clearly has worn off on him..."
One of the most versatile and accomplished bass players on the scene, Richie who hales from Pittsburgh, graduated from the prestigious jazz program at Berklee College and studied with such luminaries as Ron Carter and Ray Brown. Richie has recorded and toured with a variety of jazz and popular artists including the Headhunters, Louis Hayes and the Cannonball Adderley Legacy Band, Lenny White, Mulgrew Miller, Whitney Houston, and Christina Aguilera to name a few. Richie is currently touring with trumpeter Chris Botti. 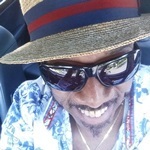 Richie's brainchild, Nuclear Fusion, hot, hot, passionate jazz, with a welcome dose of funk!! Enjoy! 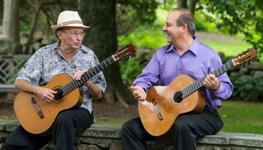 Carlos Barbosa Lima and Larry Del Casale are celebrating 11 years of performing as a Duo. Their concerts in Europe and America have been hailed as guitar events that take you away from the everyday classical guitar recital into the swing of the Brazilian musical world. Acclaimed internationally as one of the world's leading guitar masters, ZOHO recording artist, Carlos Barbosa-Lima is recognized throughout the world for his extraordinary skills as a performer and arranger of a wide variety of music for the guitar. His most recent recordings, "Frenesi", "Siboney" and "O'Boto", have been met by critical acclaim and feature the rich cultural heritage of Latin American music combined with Barbosa-Lima's stunning arrangements. On April 12, 2013 Carlos Barbosa-Lima, along with Larry Del Casale, and the Latin Grammy winning quartet the Havana String Quartet, released; "Beatlerianas" which was nominated for a Latin Grammy Award in 2013. Doug Munro is a critically acclaimed jazz guitarist with an insatiable appetite for all things jazz. 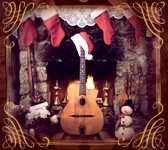 On his CD, "A Very Gypsy Christmas" he demonstrates his long standing love affair with the music of Django Reinhardt and Stephane Greppelli with 15 of the swingingest Gypsy Jazz versions of Christmas favorites youve ever heard. These are not the same old tired versions of traditional Christmas songs but brand new, reworked arrangements. Each track is a musical event unto itself. Doug has received two Grammy nominations and two NAIRD awards. "The Black Dirt Band" takes it's name from the fertile farming region in Orange County, New York. 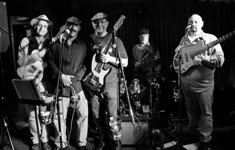 Known for it's fiery renditions of blues classics, this band has been turning heads in the Hudson Valley for years. The Black Dirt Band doesn't solely focus on the blues as other genre's find their way into a performance on any given night. The band features several guitarists who rotate through the band on different dates to keep the sounds fresh. Harmonica is also featured throughout. Joining the band for this show will be VAN MANAKAS(www.vanmanakas.com). Van is a solo artist having released several albums and was at one time a Berkeley school of music graduate and instructor. Prepare for great entertainment and masterful guitar sounds with The Black Dirt Band. "Mr. Gates is a solid example of a performer who is doing something that no one else does. He evokes an age...when musicians were entertainers and entertainers were musicians, and a sense of humor was as important as a sense of rhythm." Will Friedwald, The New York Sun. Blessed with a full-bodied and mellifluous voice, extraordinary rhythmic precision and an unerring sense of lyricism, Gates' total command of the vernacular, boundless creativity and exuberant passion sets him apart from nearly every other vocalist on the scene. Giacomo has performed with Kurt Elling's The Four Brothers vocal ensemble, Lou Donaldson, Freddie Hubbard, Richie Cole, and Rufus Reid, among others; plays the major U.S. clubs, including New York's Birdland, Smoke, the Blue Note, and Dizzy's; tours internationally; and has six highly acclaimed CDs. His most recent release, Miles Tones-Giacomo Gates Sings The Music of Miles Davis, has topped the National Jazz Radio Playlist at #1 for four weeks! Where has the time gone? It seems like just last week we were celebrating at the Riverfront and now it's time for the Holidays. We hope everyone has a joyous holiday season. Thanksgiving happens to be my favorite holiday, no stress of buying gifts, just getting together with family and friends to eat and say thanks, and this year we seem to have a lot to be thankful for. Celebration had a winning year. The weather was the best we have ever had, and hands down we had the best fireworks thus far. We added the Carnival at the Riverfront, Memorial Day Weekend that we thank the City for allowing us to operate. Families throughout the area attended and had a wonderful time. Thank you's would not be complete if we didn't thank all those who participated in the Celebration including our wonderful Sponsors and Advertisers, our creative and delicious Vendors, the fun and competitive Dragon Boat Teams, and all the terrific Visitors. Without any one of you we wouldn't be here to say thanks. We hope everyone is surrounded by loved ones from near and far for a memorable and peaceful Holiday Season. We will see you all again next summer when the warm weather returns and we head to the Riverfront for more family fun in summertime excitement. Follow the links below to see what's going on in the area. Including some great holiday favorite movies at the historicParamount Center for the Arts . Hudson Valley Gateway Chamber of Commerce. Please click on the links above for more information on these organizations and their holiday programs. Applications are being mailed out to all 2010 vendors in the next week. If you were a vendor last year you have first right of refusal until February 17, 2011 when the applications will be posted on the website and new applicants will be reviewed. Space is limited so don't lose your space make sure to send in your application and reserve y our space again for Celebration 2011. The Dragon Boats are Coming Soon! Even though the weather is cold it will soon be time to get those paddles back out and start gearing up for the 2011 Dragon Boat Races. We have revamped the day to keep the day moving and get teams done earlier so they can go and enjoy the other venues at the festival. YEAH! Please follow this link and download your team application now. Don't have a team? Not a problem, simply fill out the individual application and we will find a team for you to paddle with. Our races are novice friendly and still competitive for experienced teams. And we have some of the best views on the Hudson River you can ever experience. Peekskill Celebration can be found on Facebook! We have our own page and hope that you will friend us there and follow our updates and let us know how much you enjoyed the events at the festival. If you are already following us on Facebook - THANKS. Stay Connected to all the events and happenings with Peekskill Celebration. Be the first to know what is planned and what new venues are being added for the coming year. Purchase a wristband and ride all the rides during the wristband event. Cost: $25 - look for coupons on Peekskill Celebration website. Jamal Malik, an 18 year-old orphan from the slums of Mumbai, is about to experience the biggest day of his life. With the whole nation watching, he's just one question away from winning 20 million rupees on India's "Who Wants To Be A Millionaire?" But when the show breaks for the night, police arrest him on suspicion of cheating. How could a street kid know so much? "Four stars simply aren't enough! May be the most entertaining movie I've ever labeled a masterpiece in these pages" (NY Post). "Breathless, exciting, heartbreaking and exhilarating! " (Roger Ebert). "Romantic, action-packed and always held together by an intriguing social conscience. A rapturous crowd pleaser!" (NPR). François prepares for a new year at a high school in a tough neighborhood. As amusing and inspiring as teenaged students can be, their difficult behavior can still jeopardize any teacher's enthusiasm for the low- paying job. François insists on an atmosphere of respect and diligence, but his classroom ethics are put to the test when his students begin to challenge his methods. "I would be surprised if this brilliant and touching film didn't become required viewing for teachers all over the United States. Everyone else should see it as well-it's a wonderful movie" (New Yorker). "A heady delight, rich and free-flowing in its rhythms" (Village Voice). Winner of the Palme d'Or at Cannes. Don't miss this ultra-ultra-rare opportunity to see one of the earliest and greatest gangster films-with live music by the Alloy Orchestra, "the best in the world at accompanying silent films" (Roger Ebert). "A woman breaks free from the codes that imprison her, a macho thug discovers the depths of his own feelings, and sexual love proves stronger than handguns, prison bars and the entire police force. Screenwriter Ben Hecht wanted his name taken off the credits but that didn't stop him from accepting an Oscar for it the following year" (Time Out). "Underworld ought to be one of the best known and best loved silent films." (Commentary Track). With live music by the acclaimed Alloy Orchestra, a Paramount favorite and hailed as the "best in the world at accompanying silent films" by Roger Ebert. A young girl walks through a secret door in her new home and discovers an alternate version of her life- only much better. But when this wondrously weird mirror world turns dangerous and her counterfeit parents (including Other Mother) try to keep her forever, Coraline must rely on her own wits to get back home. "This is a marvelous family story, tapping into all sorts of childhood dreams and nightmares involving Mommy, monsters and heroic youngsters. The imaginative sets and puppets are in perfect pitch with novelist Neil Gaiman's fantasy" (Hollywood Reporter). Directed by Henry Selick (The Nightmare Before Christmas), Coraline is a "handcrafted wonderland of beauty and creepiness" (Entertainment Weekly).